Nacho Monreal has confirmed that he is in talks with Arsenal over getting a new deal so that he extends his stay at the Emirates Stadium. Arsenal left back Nacho Monreal was linked with Spanish giants Barcelona yesterday but the player is happy at the Emirates Stadium according to what he said recently in an interview. Nacho Monreal was among Arsenal’s top performers last season and was second to Aaron Ramsey in the players list which the Arsenal fans voted as their best in the 2017/18 campaign, he has also become Unai Emery’s first choice left back this season despite his biggest competitor, Sead Kolasinac being injured for now. The Spanish left back says that he is in negotiations with Arsenal on offering him a new contract so that he could extend his stay at the Emirates Stadium for some more years, he says that he is happy at Arsenal after spending six years at the Emirates Stadium. “At the moment we are talking with the club, I have always said I am really happy, I feel very happy playing for Arsenal. I came six years ago. I have a good relationship with them.” Nacho Monreal told the Standard. Nacho Monreal also hint that he can retire from football at Arsenal as he said that he wants to play football until somebody says that ‘sorry Nacho but that is the end’, the Spaniard is currently 33 years old and Arsenal fans have for long complained that they need a new younger left back because Premier League requires the full backs to be quick. 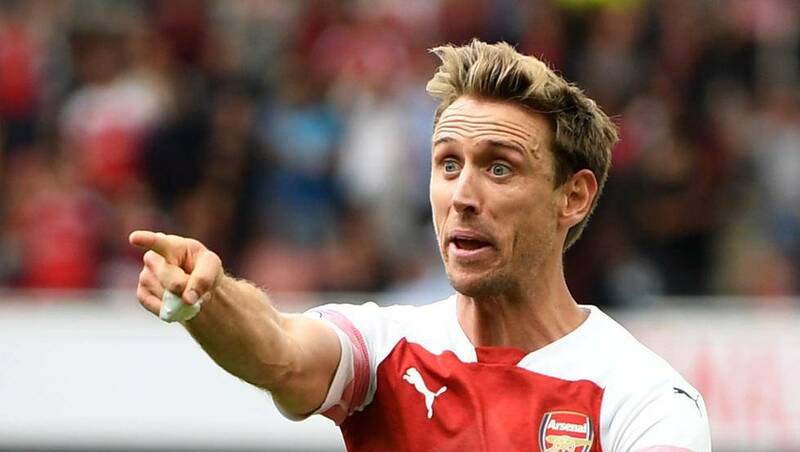 Nacho Monreal has been at the Emirates Stadium for six years and it’s going to be tough for him in the upcoming years because he is getting old but offering him a new deal even if it is not a long-term deal will be a great gift to him for his contribution to the North London club. Unai Emery hasn’t talked about getting a new left back so the club will probably agree to give him a new deal.